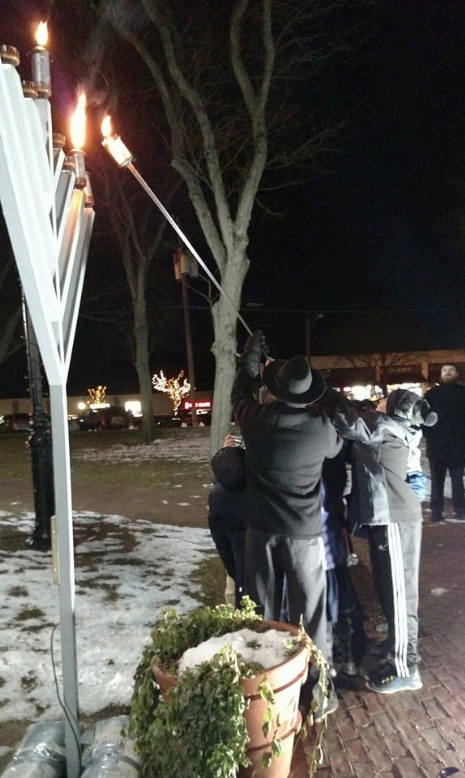 Despite the biting cold, Rabbi Wolvovsky, together with an enthusiastic group of children, light the second candle of the giant menorah on the Glastonbury Town Green. Baker Wainscoat lights the menorah as GiGi (great grandma), mother, Mandy, and sister, Piper, look on. 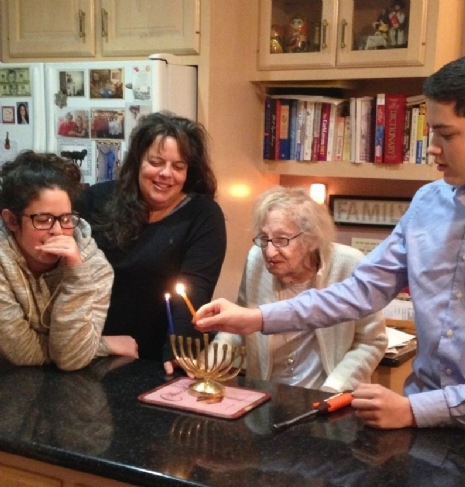 Click HERE for a listing of local Chanukah events. 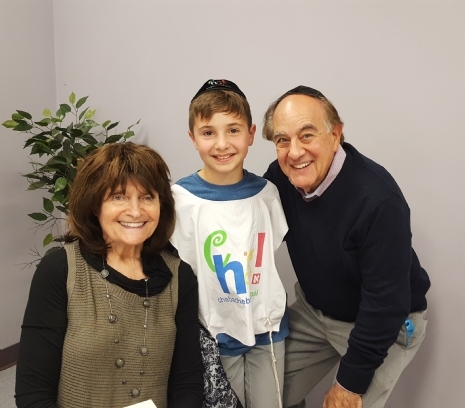 Braden Simon celebrates Grandparents Day at Hebrew School with his grandparents, Barbara & Arthur Spivak. 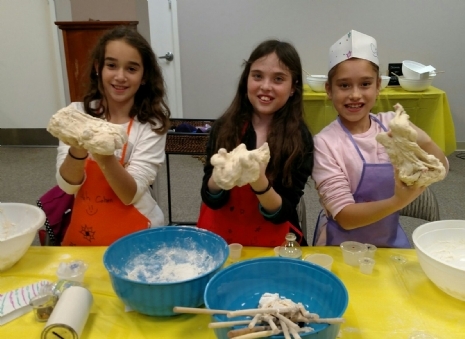 Lilah Cohen, Lily Seagull and Camryn Weinstein have a blast kneading their Challah dough at Kids Mega Challah Bake. The event was loads of fun for everyone! 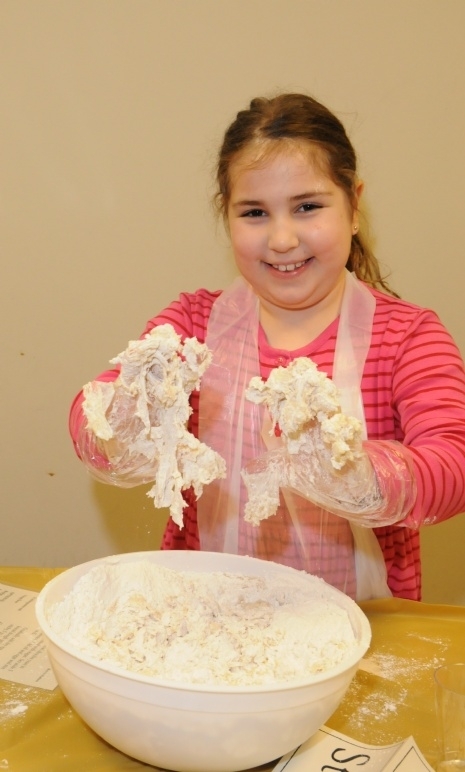 Yaffa Ferber has an awesome time kneading her Challah dough at a recent Challah Bake. Join us for the Kids Mega Challah Bake on November 12. Click HERE for details. 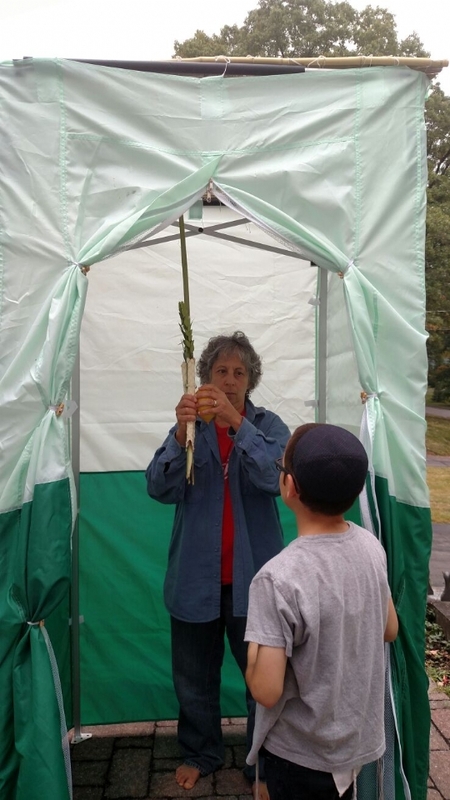 Mendel and Rabbi Wolvovsky surprise Mrs. Leslie Abrams with a special traveling Sukkah visit. Mendel leads Leslie with the lulav and etrog blessing. 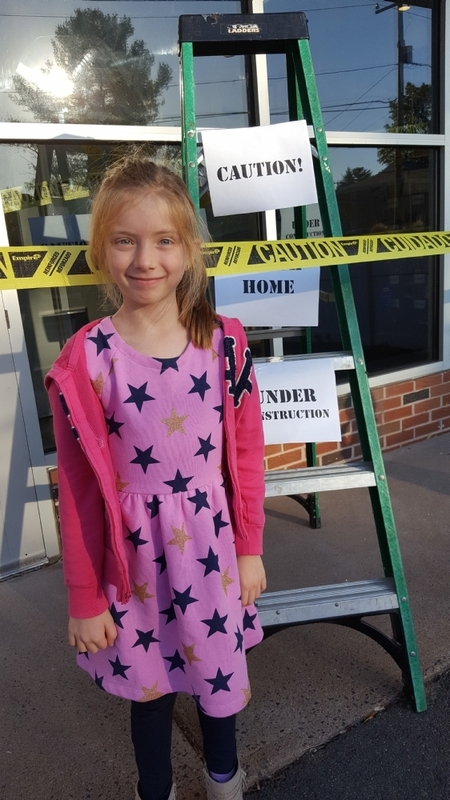 Second grader Josie Naylor poses in front of "Jewish Home Construction Zone." Hebrew School students begin a full year curriculum traveling to each room of the home, exploring the various mitzvot we do in each room.